1.6.4 ZCraft Reborn [Survival][20 Slots][Whitelist] UHC Tourney Now in Session! Inquire Within! Welcome to ZCraft! UHC Info at the bottom! ZCraft is a small, whitelisted, survival server run by hisnamewasz (Below) including many features including a Main Village, Commercial District, Bases for all players, morph flight capabilities, other cool stuff. It is run by hisnamewasz (below) and was founded by him and player slinkslop (not shown). ZCraft is strictly pg rated, and while we will allow moderate (bad words) in the comments, we will not allow any inappropriate buildings or postings in the chat. ZCraft is strictly non-griefing, and griefing in any way will result in an automatic infinite ban. This doesn't mean we cant have fun though! One of the funnest things about Minecraft is pranking other players (Witchery is great for this), and if you apply for ZCraft make sure you know that pranks will be common. Were heavy on member Collaborations, do some fun community projects! Still Interested? Read on below! On ZCraft, we use the ZCraft Modpack, a fun modpack designed to blend cool mods like trailmix, morph, and thaumcraft, with technical mods like buildcraft, IC3, and thermal expansion. Click here to get the modpack (download might be broken, if so, then don't worry, I'm getting it fixed.) ***SERVER RULES*** No Griefing! No harassing other players! Though we are OK with some playful Witchery Curses we do not want players getting hurt or killed every time they get on the server. Harassing is an instant ban! No expropriate buildings or innuendos in the comments! This will be a instant month to life ban! Be friendly to other players! We are looking for players that will be on AT LEAST a couple of hours a week! If you are a no show we will give your slot to someone else if you don't give a legitimate excuse. ***HOW TO APPLY*** Below in the comments fill out the following form: IGN (In game name) Reason you want to join: Age (Optional): Favorite Mod: Favorite thing to do in Minecraft: Youtube (If you dont have one it wont beat your chances of joining): Building Ability on Scale of 1 to 10 (ex: 1=Dirt House 10=Keralis): Time Zone: Do you want to participate in the UHC? 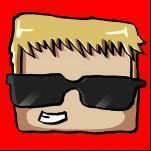 : EXAMPLE IGN: hisnamewasz Reason you want to join: I own the server Age : Not Telling!!! Favorite Mod: Witchery Favorite thing to do in Minecraft: Redstone Builds and Pranks. Youtube : Don't Have One Building Ability: 7 Time Zone: Pacific Do you want to participate in the UHC? : Heck Yeah! ***SOME FEATURES*** Morph Flying Monthly In-Game Newsletter Commercial District Main Village Bases Starter Materials Pranks! We want devoted members, Prepare to put in some time. Collaborations between members! WHAT ARE YOU WAITING FOR??? APPLY ALREADY! MEGA IMPORTANT NEWS!!! To kick off our server, we are going to have a 1.7.4 vanilla UHC battle! If you want to participate in the UHC and the server, just make sure to note it below!